The NSW Government will fast-track the delivery of another 17 new air-conditioned Waratah Series 2 trains that will start rolling onto the tracks from 2020. 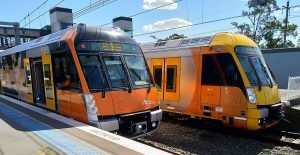 The procurement is part of authorities’ plans to answer the growing demand across the Sydney Trains network. This is in addition to 24 new trains currently in delivery, bringing the total of new Waratah Series 2 trains to 41. The new double deck trains will be equipped with air-conditioning system, definition customer information screens, CCTV, and will have priority seating, wheelchair spaces and hearing aid loops. “Already 12 of the new Waratah Series 2 trains have been introduced to the suburban network, and the rest are being progressively rolled out over the next few months. By bolstering our order by another 17 trains, we will make the network more reliable and more comfortable for customers,” Minister for Transport and Infrastructure, Andrew Constance, said. According to the minister, over the last five years, the railway traffic increased by 30 per cent, leading to the increase of trips from 300 million to more than 413 million in 2018. Since 2016, NSW Government introduced about 1500 extra train services each week.